Dr. David Dao, the subject of the now infamous video showing him being dragged from his seat and off a plane, has reached a settlement with United Airlines after a weeks-long public relations nightmare for the company, lawyers said Thursday. Dao reached an “amicable settlement” with the airline for the injuries he received as result of the April 9 incident, which is attorney said included two lost teeth, a broken nose and a "significant" concussion. The amount of the settlement would remain undisclosed, according to the terms of the settlement, Dao's attorney said in a statement. Attorney Thomas Demetrio announced the undisclosed settlement on Thursday afternoon, hours after the airline announced the new policies to prevent such an incident from happening again. Demetrio offered praise for United CEO Oscar Munoz in the statement, saying: "Mr. Munoz said he was going to do the right thing, and he has." "In addition, United has taken full responsibility for what happened on Flight 3411, without attempting to blame others, including the City of Chicago," he said in the statement. "For this acceptance of corporate accountability, United is to be applauded." David Dao, 69, was caught on video being dragged out of his seat and off a flight at an airport in Chicago after he had been randomly selected as one of four passengers to be removed from the plane. Earlier, the crew had tried to entice volunteers to give up their seats with $800 in travel credits, but had no takers. The airline had said it wanted to make room for staff who were heading to Louisville to be in place for a morning flight. Chicago Department of Aviation officers forcibly grabbed Dao from the cabin, leaving him bloodied and injured, Demetrio said. At least four law enforcement officers have been placed on leave following the April 9 incident. But Demetrio told NBC News, "no one else in the entire world is going to be sued by Dr. Dao." "United has stepped up to the plate and hit a homerun," he added. Demetrio said in his statement Dao had become an "unintended champion for the adoption of changes which will certainly help improve the live of literally millions of travelers." Related: Man Dragged Off United Flight Stands to Gain. But How Much? United said it was "pleased' to report the "amicable resolution," in a statement after the settlement was announced. 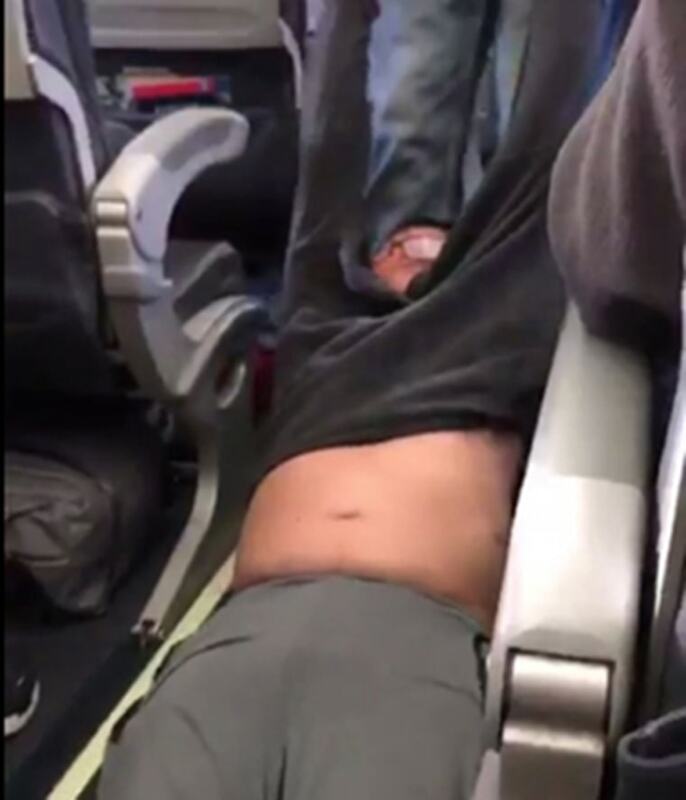 "We are pleased to report that United and Dr. Dao have reached an amicable resolution of the unfortunate incident that occurred aboard flight 3411," the airline said. "We look forward to implementing the improvements we have announced, which will put our customers at the center of everything we do." "We breached public trust, and it's a serious breach," Munoz said in an exclusive interview earlier Thursday with NBC News' Lester Holt, adding that he had introduced changes at the company because "a circumstance like we've all witnessed should have never happened, never happened." The airline also unveiled new policies early Thursday morning, including a promise to not use law enforcement to remove overbooked customers from planes, additional training for front-line employees and setting up an automated system that will ask passengers at check-in if they would be willing to give up their seat. Munoz also pledged to reduce the amount of overbooking and offer up to $10,000 for customers willing to volunteer to take a later flight. Meanwhile, Demetrio is representing another client against the airline industry, the woman in another incident caught on video showing an argument that broke out on an American Airlines flight after a male flight attendant allegedly forcibly took the woman's stroller — nearly striking her and her baby. When asked earlier this week on the TODAY Show whether he would be filing suits in both cases, Demetrio had said United could expect legal action for the incident involving Dao, but said "I don't know about the American incident." Jay Blackman and Stephanie Siegel contributed.